Black was the colour which dominated the 88th Annual Academy Awards. Actors and actresses walked down the red carpet in their best attires, most of them in black but some raised the bar and made it look ever so elegant and classy. Some however decided to look a little different than the rest with the colour and added some colour and versatility to the amazing night that it was and always is. Here are some of your famous celebs who look stunning as ever yet a little different, after all, it was the biggest award ceremony of all. First and foremost, Mr. Leonardo DiCaprio who finally did it. The best actor nominee for the 6th time, which he FINALLY won, made it to the Oscars in a classic tux designed by Georgio Armani. 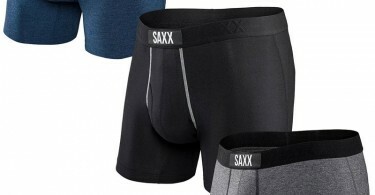 The actor totally lived up to the name of his designer and even won the coveted prize in the same. 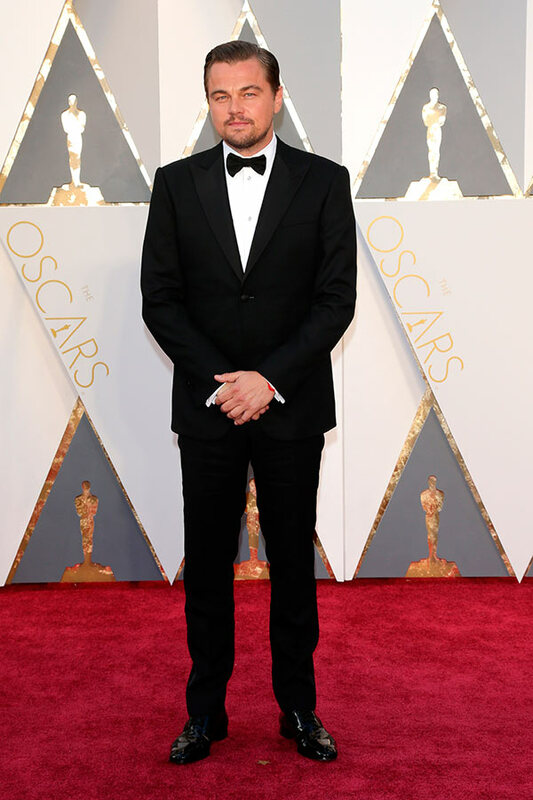 Congratulations Leo, and you looked dashing. Kudos. The academy award winner decided to make a mark on the night by wearing this neck corsage. The black suit accompanied by the red out line was simply put, perfect. 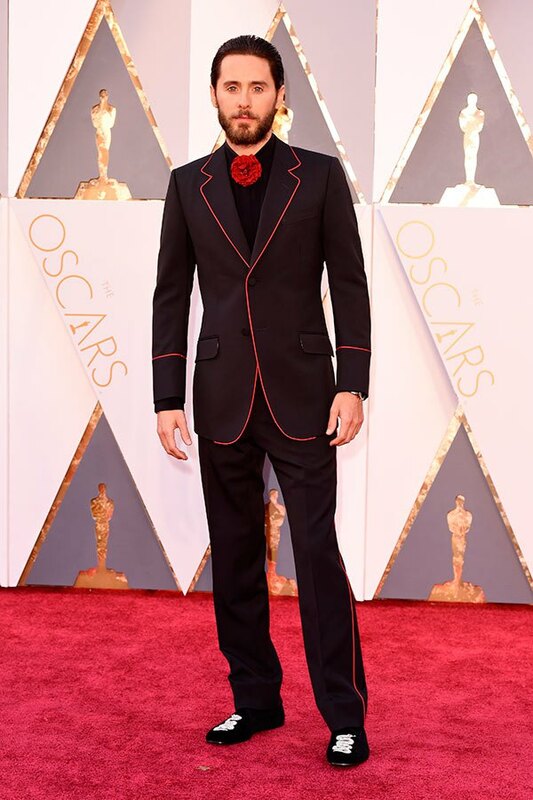 We are all waiting for Leto to act as the Joker in the upcoming film Suicide Squad. The Mad Max actor would have missed out on the best actor award but he definitely caught everyone’s eye even without showing his own when he started his walk on the red carpet. The villain from The Dark Knight rises looked stylish and dashing as ever in those shades accompanied by his spotty goatee, that ravishing smile and hairdo. Well done, Tom. We mention the Ghanian for a reason, for being so cool that he decided to wear slippers on the red carpet and mind you that only dignified the red carpet. 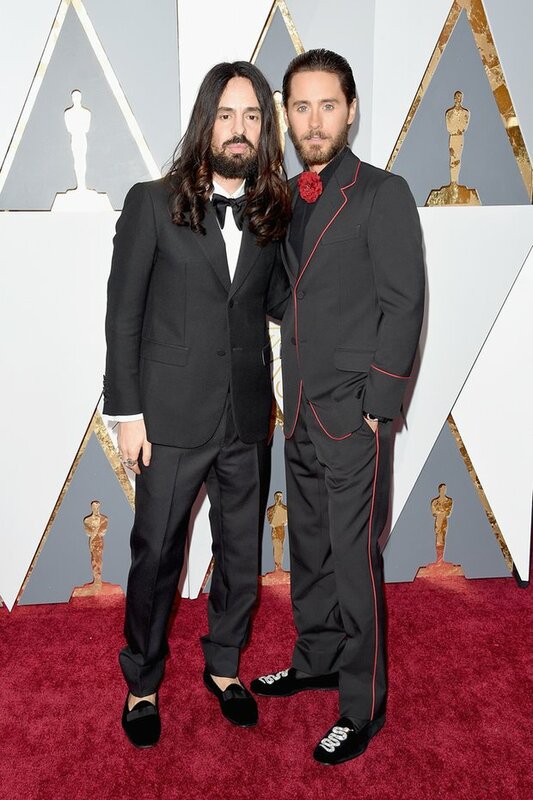 The Gucci slippers looked so elegant and this picture along with Jared Leto donning the same is a peach. Well done lads. We started off with The Maestro, we end it with someone who has a bright future ahead. 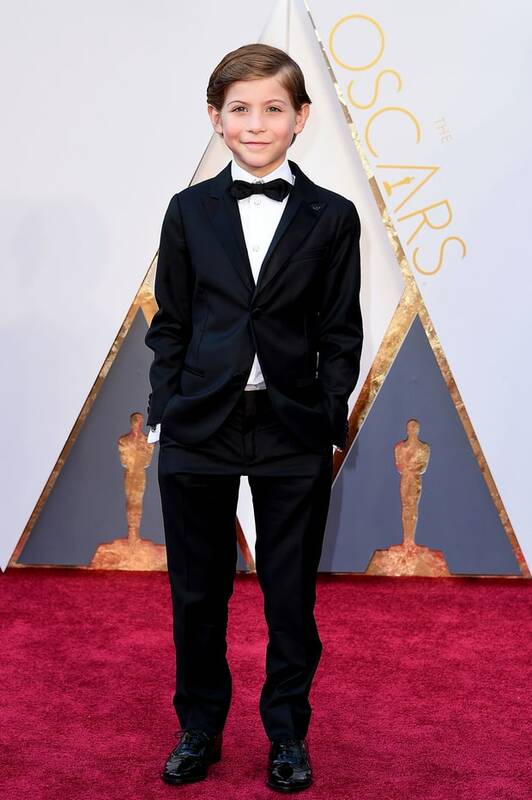 The Room actor won many hearts with his performance in the Best Picture nominated movie and looked dashing and cute at the same time on the red carpet. At his age, he has all the rights to look cute and dashing at the same time. Not many can do that after growing old. 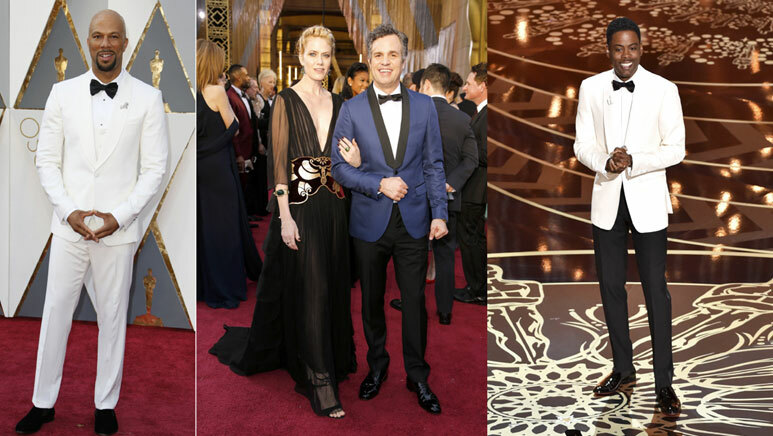 A special mention goes to Mark Ruffalo, Common and Chris Rock for opting not to go with the classic black.